I am proud to support the grassroots efforts of nurses who are working to establish an Office of the National Nurse and teams of dedicated nurses throughout the country who will deliver much needed educational programs to every community, including those who live in underserved areas. Having a National Nurse address the nation each week on ways to live healthy will not only improve public health by using plain spoken language that every American can understand, but will also serve as a beacon of inspiration to attract others to the nursing profession at a time when our country is facing a critical shortage of nurses. HR 4903, the National Nurse Act of 2006, introduced by the Honorable Lois Capps (CA) on March 8, 2006 into the 109th session of Congress, has the potential to save many lives, reduce needless suffering, and save dollars in a healthcare system that is already bursting at the seams. HR 4903 also encourages nurses to become educators in order to increase student enrollment in nursing programs and to help ease the shortage. As former Governor of the state of Oregon, I know we are capable of working together in a bipartisan fashion to deliver health care to all Americans and to keep the nursing profession strong. All five members of the US Congressional delegation from Oregon have signed on to HR 4903 as cosponsors, and it is my hope that every US Representative will join them in this worthwhile effort. The National Nurse Team recently received a report from Susan Sullivan RN MSN, staff educator of the Public Health Nursing Division of Orange County. 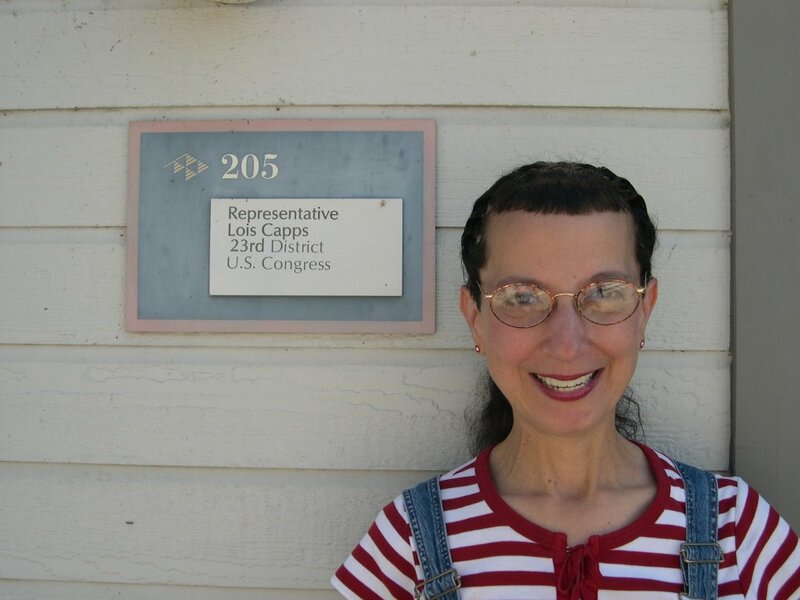 Susan has been an avid advocate for an Office of the National Nurse for over a year, so making an appointment to seek the support of her US Representative was a logical next step. 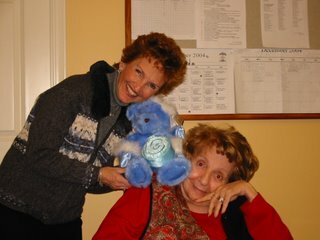 Susan brought a packet of information with her, including recent articles about the National Nurse proposal, a copy of HR 4903, and a list of talking points. 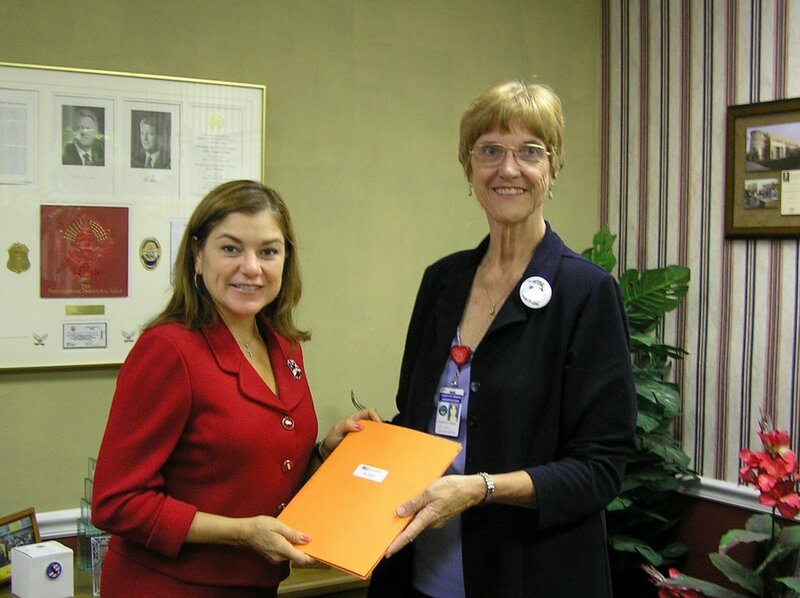 The visit with Congresswoman Loretta Sanchez went very well and it seems certain that she will be signing on to the National Nurse Act of 2006 as a cosponsor once Congress resumes session in September. 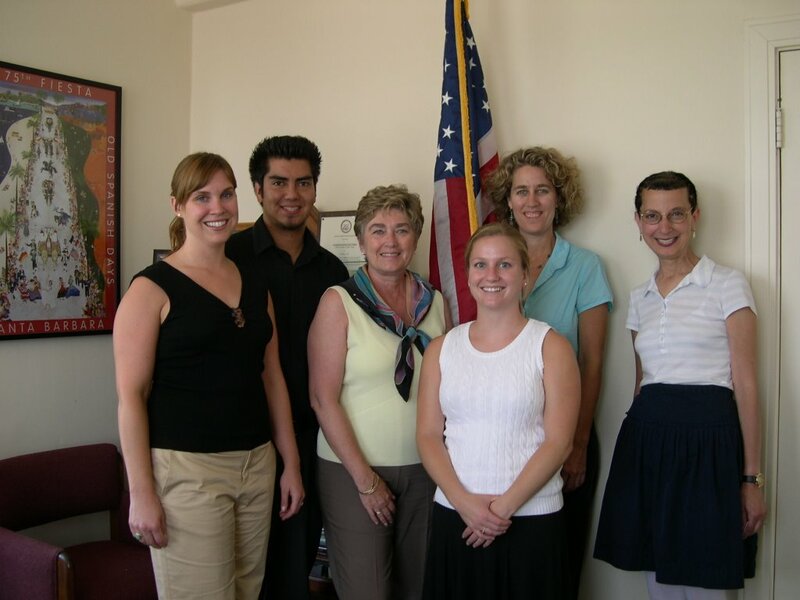 Susan also learned that on May 10, 2006 Congresswoman Sanchz joined with Congressman Thomas G. Tancredo to introduce legislation for a nursing student loan forgiveness program. HR 5349 is presently in the Subcommittee On 21st Century Competitiveness. As many of you know, The National Nurse Act of 2006 was introduced into the House of Representatives by the Honorable Lois Capps on March 8, 2006. Congresswoman Capps is also a registered nurse and she co-chairs the House Nursing Caucus. While on vacation, Teri decided to stop by the offices of Congresswoman Capps located in San Luis Obispo and Santa Barbara to meet and greet her extraordinarily supportive and knowledgeable staff. The National Nurse Act of 2006 is red, hot, and rolling and has seen remarkable progress in California. 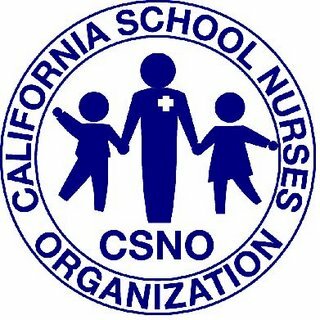 This past month the California School Nurses Organization endorsed the bill. Four US Representatives from the state have signed on to HR 4903 over the course of four weeks. Students from all corners of the state continue to inquire about the bill and to integrate it into their school projects and presentations. Congressman Sanders sent the National Nurse Team the following thank you note, but the real thanks go to him for signing on as a cosponsor to HR 4903. 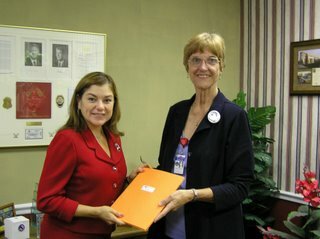 "Thank you for contacting me about the National Nurse Act of 2006. I am proud to be a cosponsor of this bill. The number of people diagnosed with heart disease, cancer and other potentially fatal illnesses continues to rise. People suffering from these illnesses need the best care available. Therefore, we must ensure that we not only have the best trained nurses in the world, but that our hospitals and other heath care providers have all of the qualified staff members they need to provide quality care. Unfortunately, in recent years, the number of people opting to enter the nursing profession has continuously declined and as a result fewer nurses must work longer hours, often under very stressful conditions. The National Nurse Act of 2006 amends the Public Health Service Act to create an Office of the National Nurse, dedicated to providing support and encouragement for individuals entering the nursing profession. 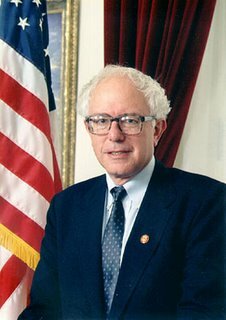 Additionally, it would make grants available to nonprofit groups devoted to educating the public on health priorities." The California School Nurses Organization voted at their executive board meeting last month to support HR 4903, the National Nurse Act of 2006. Representative Lois Capps who introduced the bill in Congress on March 8, 2006 is a former school nurse and a member of this organization. The California School Nurses Organization is pleased to be able to take a support position on HR 4903. This very important federal legislation, authored by Representative Lois Capps, of California, will focus national attention on the importance of nursing; hopefully inspire entry into nursing careers, and enhance the value of practicing nurses. The California School Nurses Organization is the professional organization for school nurses practicing in California. We represent over 1400 members, in both the public and private schools and serve children from birth through 22 years of age in all school settings, preschool through grade 12. Since the 1950's, CSNO has been promoting and strengthening the role of school nurses in the educational community. Today the organization's goals are professional development, legislative advocacy, and communication among school nurses, membership recruitment, public relations, governance, and leadership development. We have a vision: all children should be in school, healthy, ready, and able to learn. If this legislation passes, and the Office of the National Nurse is established, it will help to prioritize and deliver the health agenda to the nation by complementing government services already in place, and will focus much needed attention to a health agenda that prioritizes wellness and prevention. We strongly support this legislation. 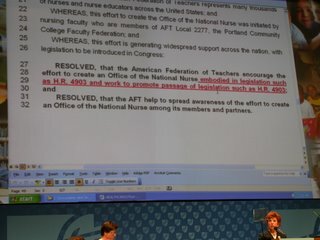 It's Unanimous-AFT National Endorses HR 4903! July 20 to July 23 were exciting days in Boston for supporters of the Office of the National Nurse, as the nearly 4,000 delegates to the 2006 convention of the American Federation of Teachers voted unanimously to support HR 4903, the National Nurse Act of 2006. The AFT represents 1.3 million teachers, professors, and other educational professionals, nurses and other healthcare professionals, and public employees. It is also home to some of the nursing educators leading the effort to create the Office of the National Nurse, which made the AFT approval particularly special. The resolution was in fact originally proposed by Local 2277 of the AFT, the Portland Community College Faculty Federation, of which Teri Mills and Alisa Schneider are proud members. It was approved at the AFT-Oregon state convention in April, then forwarded to the national AFT. The resolution, Creating the Office of the National Nurse was number 18 of the more than 75 resolutions introduced at the convention. It was initially taken up by the Healthcare Committee, whose 100 members represented healthcare locals from all over the nation. Local 2277 President, Michael Dembrow, presented the resolution to the committee members, along with an amendment to include an explicit reference to HR 4903. The amendment passed without objection, and the resolution left the committee with a unanimous Do Pass recommendation. Even more important, it was ranked among the top three resolutions of the committee, which meant that it was guaranteed to be considered for action on the convention floor. Had it not made the top three, it would have been referred to the AFT Executive Council to be considered at some later date, as was the fate for the majority of resolutions. 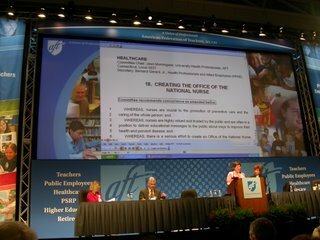 Instead, on July 22nd, under the leadership of AFT Executive VP Toni Cortese, Resolution 18 was taken up by the delegates and passed unanimously, to considerable applause and roars of approval (most likely from healthcare locals!). My profession and ministry is to serve the underserved and link patients to community resources, provide education, referrals to counseling, patient advocate, support at the end of life. The list is endless. My blessing is to provide the emotional and spiritual support to my patients while we journey together on this earth. 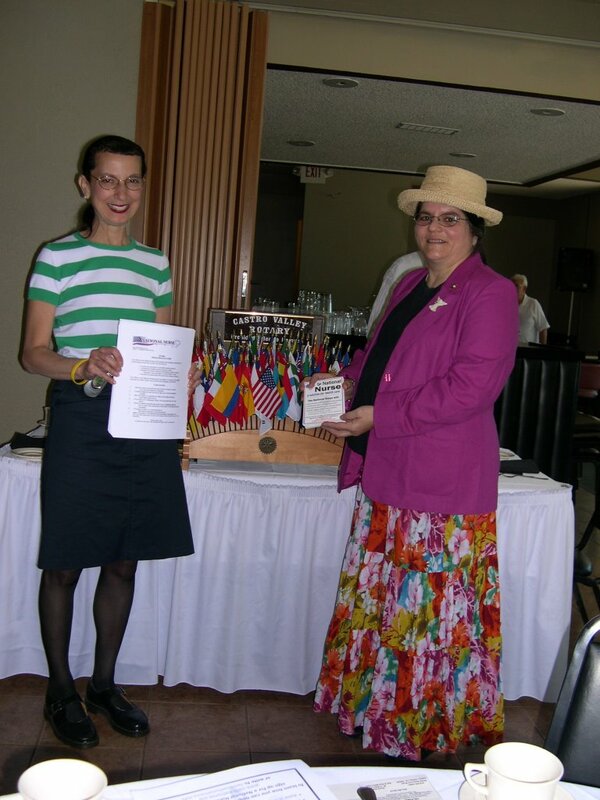 By the very nature of their activities, Castro Valley Rotarians are used to hosting important guest speakers and supporting a good cause. Their weekly meeting yesterday, organized by the past president KJ Page, featured a speaker with a mission of national significance, Teri Mills, RN, MS, ANP, and a founder of the National Nurse Act of 2006, who was introduced by the CV Rotary president, Bernie Kempen. The idea, initiated by Mills, was to establish an Office of the National Nurse within the national government, to be led by a registered nurse appointed by the Secretary of the Office of Public Health and Science. As health care providers, we can do better, said Mills. It is our obligation to teach every American how to prevent diseases.